The first product I knew that I definitely wanted to try was the day cream. I haven’t quite found the perfect moisturiser for my skin type yet as a lot of them are far too heavy, so I thought I’d give this a go. I was actually really pleasantly surprised by this product. With SPF15 and a Vitamin Complex, it is suitable for all skin types and is a step 3 product, meaning the purpose is to moisturise. I’ve used it both under makeup and just on its own, and I really like both outcomes! On its own, it does leave my skin looking a little bit greasy, but this is only for a minute or two as it quickly sinks into the skin. It leaves my skin feeling almost tacky, making it the perfect base to apply my makeup on! 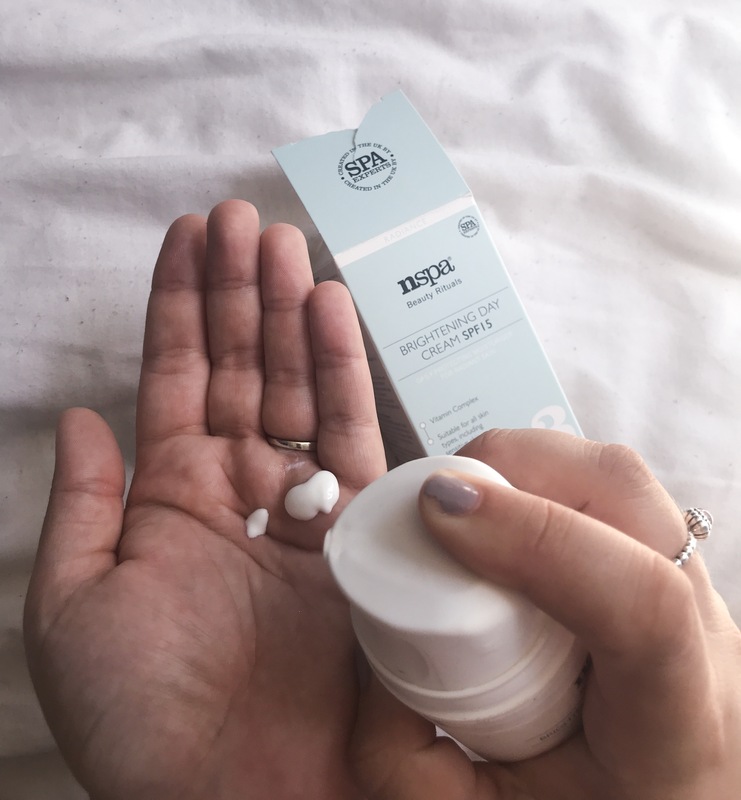 I’ve found that all of my products are much easier to apply when I’ve used this as a base, particularly my primer, and it’s quickly snuck its’ way into my every day makeup bag! Packaging wise, it’s quite simple. I am a little disappointed that it is made from plastic, but for the price I cannot complain too much. It’s also vegan and made in the UK, so massive wins on that front! The only thing that I think could do with improvement is the pump design. As the product is rather thin (as all good day creams should be), it tends to dribble out a bit. Although a stopper is provided so you can kind-of put a plug in it before it runs too much, this product could really benefit from a better design! But, all in all, for just £6 with plenty of product to last quite a while, it’s a 9/10 for me. Boasting claims of giving a hydration boost to refresh and revive, I just had to try this product. Zack has a *really* expensive facial mist that he loves, but I’m allergic so a bit jealous. I’ve never actually seen a drugstore/lower end facial mist before, but the intrigue was too much so I had to give it a go! Another step 3 product (oops), this is to moisturise too. The packaging of this product is, again, really simple, but I like it. There’s something clean and polished about it, and it definitely visualises the fact that this product is fragrance and colour free. You can use this product whenever you like to add a little more moisture; it’s even gentle enough to be used over makeup! And when I say that, I have definitely been testing it out on the hottest week of the year and I am really pleased! Zack says that it has a strange scent, but honestly it doesn’t smell like anything to me, so maybe that’s just him. What I really appreciate about this product is how fine it comes out; like a mist. I have tried other facial sprays before that have been a bit too harsh and I’m such a jumpy person that I just cannot handle them, but this one comes out really finely and disperses over the face, rather than harshly soaking one little area of it. To be honest, I absolutely adore this stuff. It has been my saviour during the heatwave, and I’ve literally been spraying it anywhere and everywhere I’ve felt needs a little more moisture! I’m a big fan and for only £4, 10/10. Last but not least, we have the step one (cleanse) product. Now, I’m not gonna lie, this was definitely the one I was the most excited about. 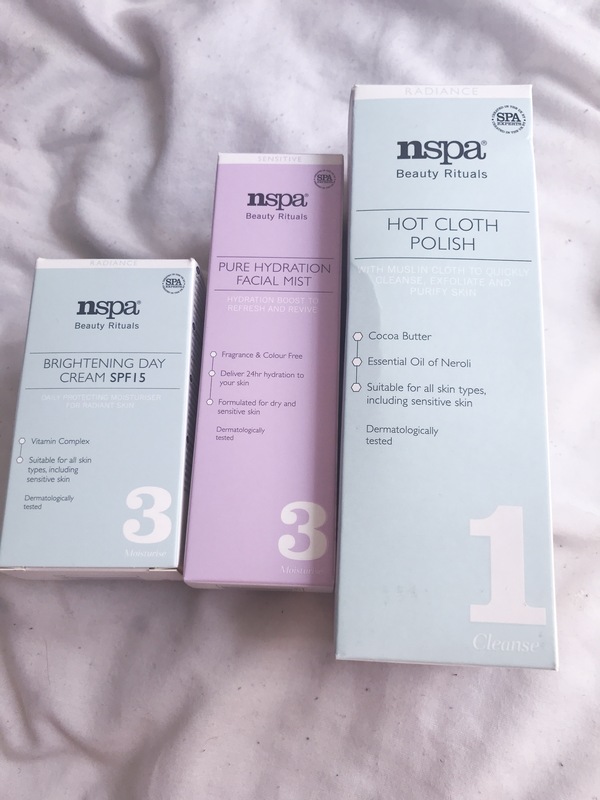 The most expensive of my little haul, but still certainly affordable at £7, I used this pretty much as soon as I got home after buying it! 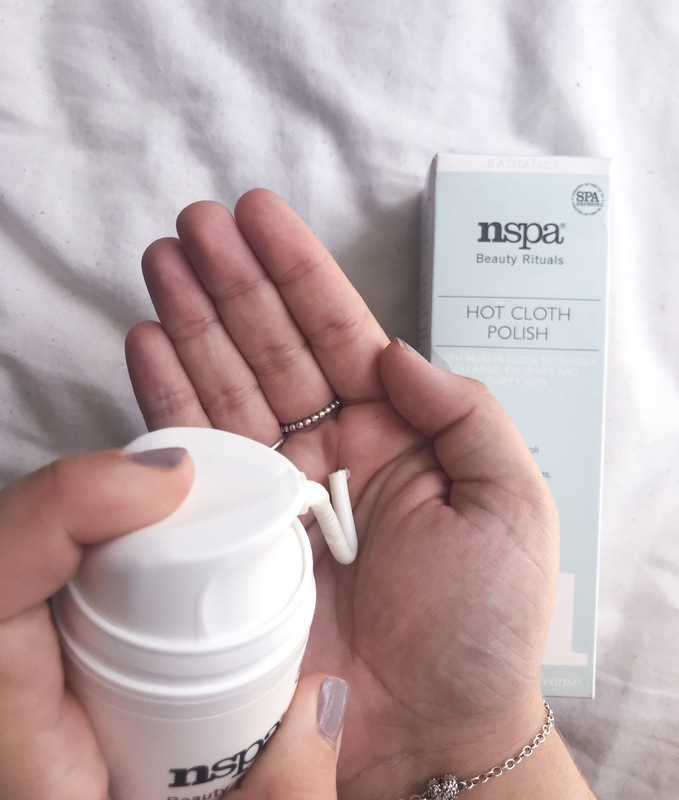 I’ll be honest, I have never ever tried a hot cloth polish before. I’ve seen them around and about, but I am a poor student and cannot afford the ludicrous prices that some of them retail for! But, because of this, I had no idea what to expect. Complete with a muslin cloth, this product is really large and certainly got a lot in it for the price! The basic routine is that you squirt one or two pumps (my face only generally needs one), massage it into your face, and then soak the muslin cloth with warm water, wring out and wipe off. This is such a simple and easy routine, but honestly it feels so luxurious! This product quite literally smells like a spa, and it’s heavenly. Plus, there’s just something so relaxing about the hot cloth. I do this every single night before I go to sleep and it makes me feel so much more relaxed. 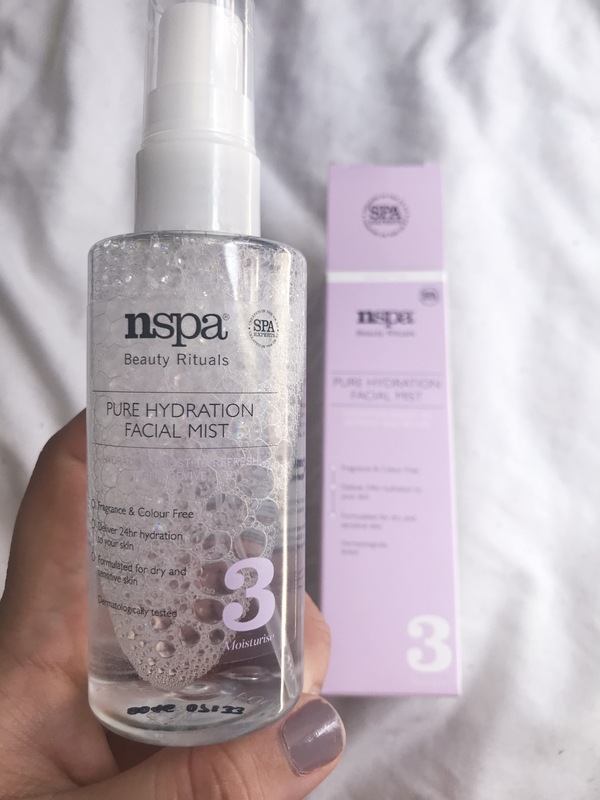 I’ve always been a micellar water and that’s it kinda girl when it comes to cleansing, but I have been using this after micellar water and I am always so surprised at how much it picks up that the micellar water didn’t! It also leaves my skin feeling moisturised and tight- like it’s brand new! I am a HUGE fan! 10/10. So there we have it- everything that I picked up from nspa! To be honest, I am really impressed with all of the products. With how good these are, I certainly will be trying out more from the range! I love that they’re all vegan, cruelty free and made in the UK- that’s just amazing and from such an affordable brand too! To be honest, as it is only sold in ASDA, I do think that it is probably ASDA’s own range, but I am here for it. 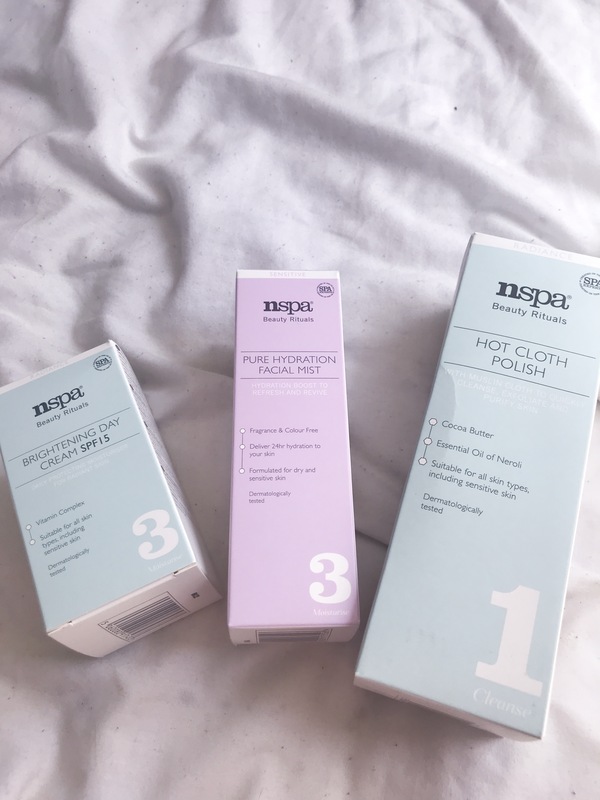 They make my skin feel fabulous and for such a fraction of other skincare prices! I also love how daring as a brand they’ve been. 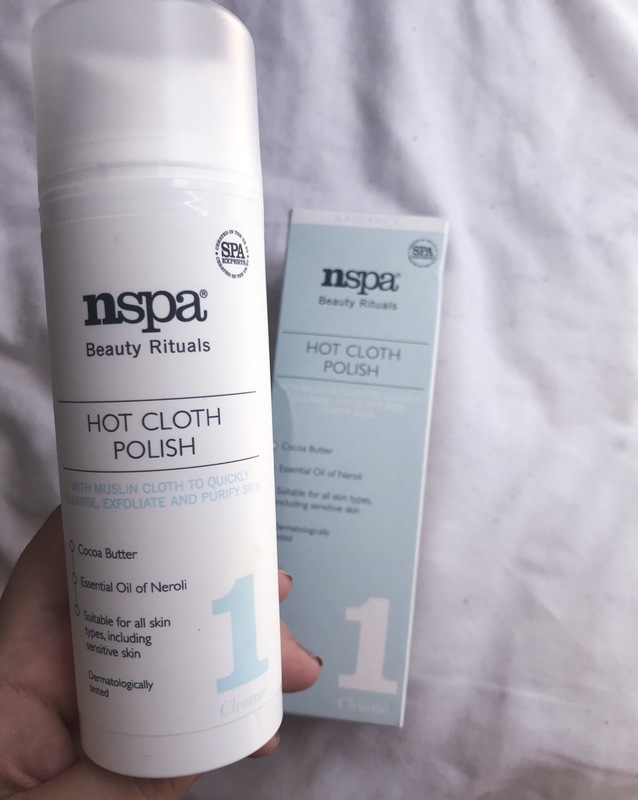 Yes, the packaging is simple, but to take on products such as a hot cloth polish and a facial mist, which are typically only successful for higher end brands, they’ve really pushed the boat out! And it has certainly paid off. 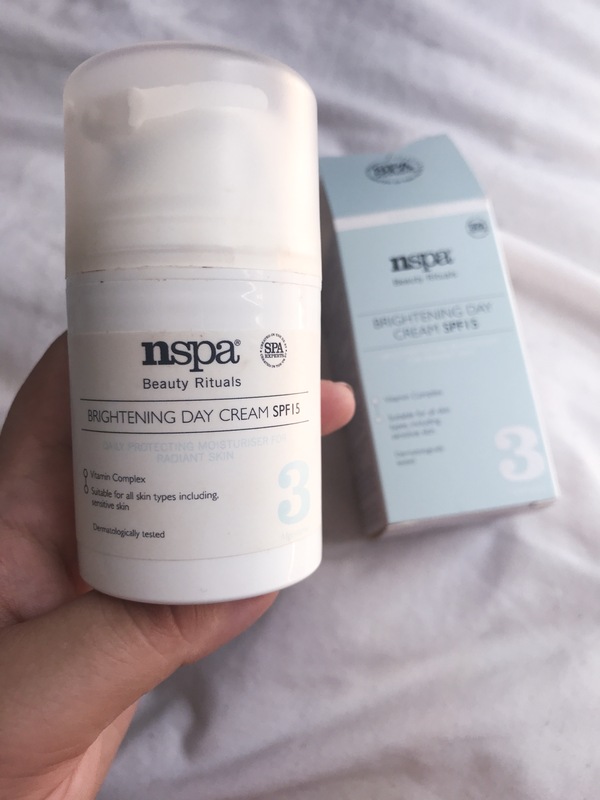 Bravo nspa, you are certainly my new skin saviour. Previous Post Is Being In Your Twenties All It's Cracked Up To Be?